Stay just a short drive from the Historic District in our recently-renovated lodgings in Savannah, Georgia. 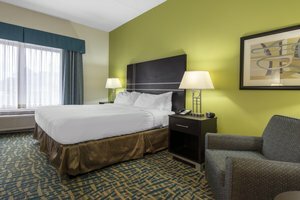 Our cozy guest rooms provide guests with the perfect place to stay on their way through Georgia. It’s easy to stay an extra day and explore the area, bursting with historic architecture, lush gardens, and Southern charm. Discover some of our favorite things to do while you’re in town! 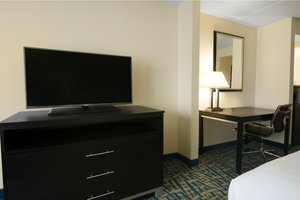 Each of our clean and welcoming hotel rooms in Savannah come with complimentary Wi-Fi and a 42” HDTV for you to stay connected during your travels. Our smoke-free accommodations come with convenient microwaves and mini-fridges for you to prepare snacks from the comfort of your room. Elevate your stay and reserve one of our suites, featuring sofa beds for additional guests and a relaxing sitting area for an extra touch of indulgence. With a master bedroom and separate living room, travelers have the space to comfortably relax after a day in Savannah. 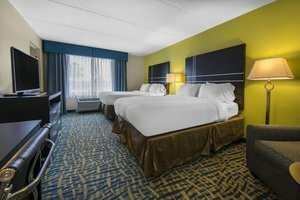 Add a little luxury to your travels with the help of our affordable rates and special hotel deals! 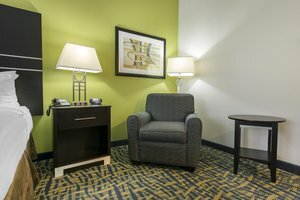 It’s easy to feel at home when lodging in Savannah, Georgia with us! 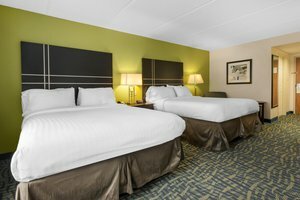 Book your stay today for guaranteed comfort in an ideal location.